If you prefer, call us and order today! 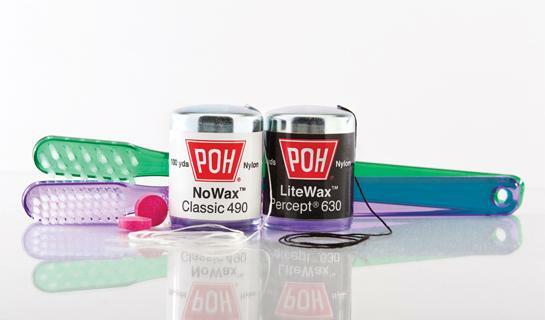 POH is used by Preventive Dentists. These are Dentists who have studied the science and art of preventing disease from ever taking hold in the mouth. These Dentists do not want to fill another cavity, or pull another diseased tooth. They also want to change Dentistry in the process. Preventive Dentistry is contrary and competing with the Dentistry practiced in the last century. The science behind our toothbrushes and dental floss was developed by a Medical Doctor, not a Dentist. The products depend on this science. The products also depend on you. You have to clean your teeth properly, every night. Our toothbrush bristles are very thin with carefully polished tips. This makes the bristles very soft and gentle, compared to other toothbrushes. Since this part of the toothbrush is actually what is useful, we focus our attention there. If they are tapered, long and pointy, they will penetrate the zone where the gum is attached to the teeth. Too hard or unpolished, damage occurs to the gums and even the teeth. Our toothbrush handles are also very different. If a toothbrush handle is huge, then too much leverage is too easily applied, and a bulky handle prevents the delicate manipulation required by Dr. Bass’ method of personal oral hygiene. Our floss is very different, too. Its many thin strands of nylon enable our floss to disrupt and disorganize the bacterial plaque, which is the key to preventing tooth decay and gum disease. It won’t just slide over the bacterial plaque. The very different, very thin, multiple strands of tiny nylon slip easily between the closest teeth, and is able to get just under the gumline without pushing it further down. Bacterial material gets trapped in the many strands, taking plaque off your teeth and out of your mouth. Curious About the Bass Method? This video was made a while back, by Dennis Roberts, DDS. Dr. Roberts studied with Dr. Bass beginning in the late 1950’s, and remained in contact until Dr. Bass’ passing in 1975. It is one mans interpretation of the Bass Method. The argument over exactly how to use a toothbrush and floss is a long and heated one. It is shocking that there is still such a lack of knowledge as to the cause and prevention of tooth decay and gum disease. Brushing x times a day is simply not enough information for an individual, much less a child, to properly clean the teeth. POH believes every adult and child must have a basic understanding of the disease process which continues to plague all of humanity. Take a moment to learn the POH way of preventing dental disease and how to brush and floss effectively. Properly cleaning the teeth before bedtime will stop tooth decay and gum disease. Brushing disrupts those bacterial colonies living on the biting surfaces and along the gum line. Flossing disrupts those bacterial colonies living between the teeth and below the gum line. You must do both! Properly cleaning the teeth before bedtime will prevent tooth decay and gum disease. 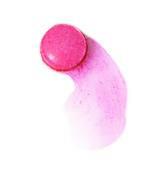 POH Disclosing tablets help you see where to clean, by turning the bacterial plaque bright red.